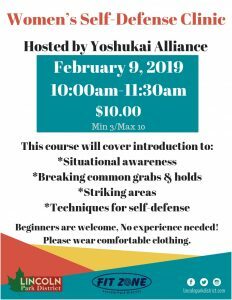 *Women’s Self-Defense Clinic is a pre-registered event. Min 3 participants Max 10 participants. Sign up at the Administrative Office.